Atlanta Braves outfielder Hector Olivera was handed an 82-game suspension without pay for violating Major League Baseball’s domestic violence policy following his arrest in Arlington, Va., on April 13, the league announced on Thursday. The suspension is retroactive to April 30 and runs through August 1. "Having reviewed all of the available evidence, I have concluded that Mr. Olivera violated the Policy and should be subject to discipline in the form of an unpaid suspension that will expire on August 1st," commissioner Rob Manfred said in a statement. "Mr. Olivera has also agreed to make a significant charitable contribution to one or more charitable organizations focused on preventing and treating survivors of domestic violence." The 31-year-old outfielder agreed not to appeal the ruling. "The Braves fully support Major League Baseball’s decision regarding Hector Olivera," the franchise said in a statement. "The Club will have no further comment on the matter at this time." Olivera was arrested and charged with misdemeanor assault and battery at the team’s hotel during an April series against the Washington Nationals. He was immediately placed on administrative leave, per MLB’s new Joint Domestic Violence, Sexual Assault and Child Abuse Policy. According to the Arlington, Va. public information officer, the female victim showed bruising and was transported to a local hospital with non life-threading injuries. The 82-game suspension is the longest MLB has handed down under its new policy. Olivera is the third player to be suspended under the policy, following Yankees reliever Aroldis Chapman (30 games) and Rockies shortstop Jose Reyes (51 games). 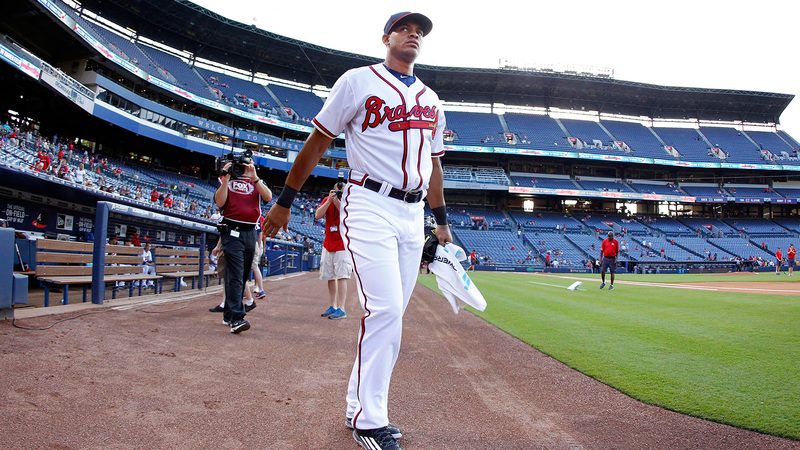 Olivera, who signed a six-year, $62.5 million contract before being traded from the Los Angeles Dodgers to the Braves last summer, is signed through the 2020 season.